Prynt – The case that instantly prints your photos! You are at:Home»BUZZ»Prynt – The case that instantly prints your photos! 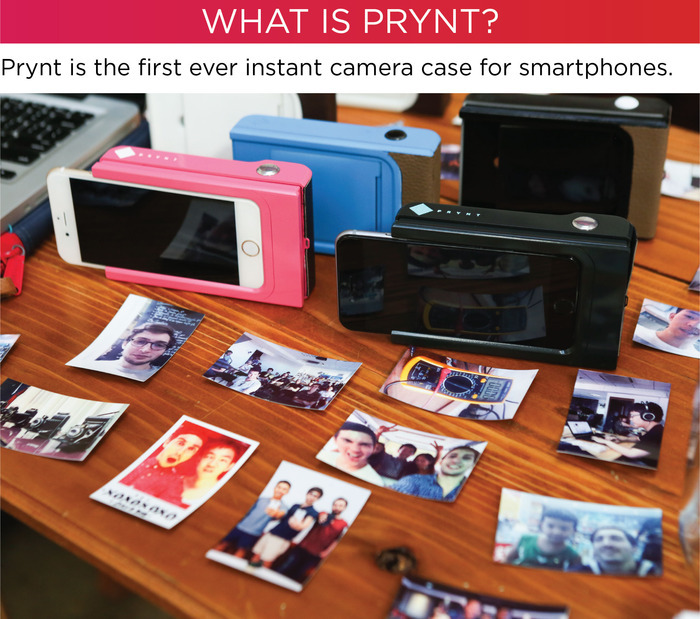 Prynt, the first instant camera case is currently in development and under Kickstarter. The concept is easy, take iPhone (5/S/C and 6) or an Android (Samsung Note 4 and Galaxy S5) phone and plug it in the instant camera case. Once you take a picture, you can print it instantly. They claim that no ink is necessary and encased on the picture itself. It’s a very interesting concept that mixes the Polaroid like quality and marries it to new gadgets. It is better than a Polaroid because not only you can print from your camera roll, you can also print Facebook and Instagram pictures! The beauty of this device means no wifi, bluetooth, or ink needed. The case comes with 10 sheets of paper and is refillable. If you give $25, they will send you 50 extra sheets. The best thing I love about this instant camera case is they don’t stop at just printing a photo. Print also adds an extra context to the experience. While taking a photo, the camera takes a quick video and saves it in cloud. Also, when you point your camera to a photo you took, it plays the video. They note that it will be released this summer and I think is likely since they are well above their pledge amount. However, with about a month to go, you can still donate and make this concept come alive! Click here if you’re interested in backing them Prynt!